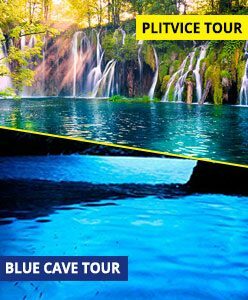 Plitvice Tour from Split - What to See and Experience? 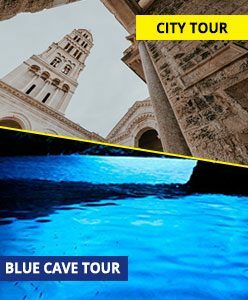 Home / Explore with Sugaman Tours / Plitvice Tour from Split – What to See and Experience? 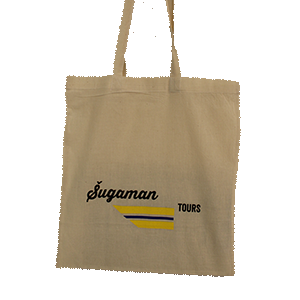 Plitvice tour from Split is quickly becoming one of Sugaman’s most recognizable tours. 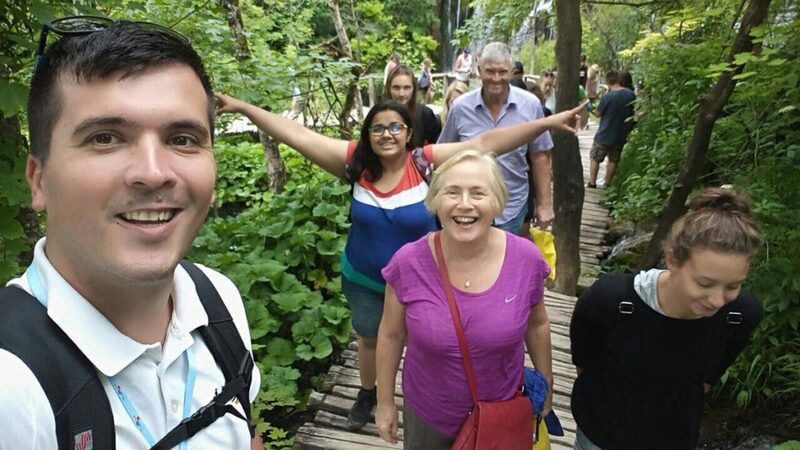 It is no wonder though, as we have made significant efforts into constant improvements of the tour to make this trip as much enjoyable and memorable to our dear guest. 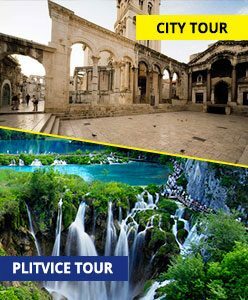 So, when you decide on Plitvice tour from Split with us you can count on comfortable transportation in air-conditioned vehicle with free Wi-Fi during entire ride. 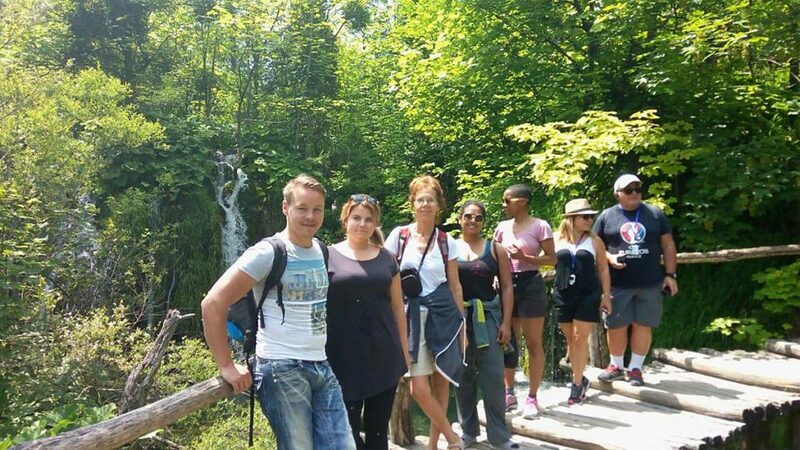 It is a full guided tour and with the earphones (headset) we provide you at the start of the tour you can clearly understand our enthusiastic and knowledgeable tour guide while explaining different attractions along the Plitvice Lakes tour. 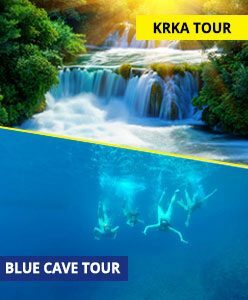 In this guide we will try to reveal to you at least a small portion of the beauties and attractions you will encounter during this tour. Plitvice National Park has been a UNESCO World Heritage site since 1979 and is one of the most popular national attractions in the whole of Croatia. It is best-known for the 16 lakes which are connected with cascades and waterfalls. The mountainous area and the dense forests with inviting meadows add to its attraction even more. 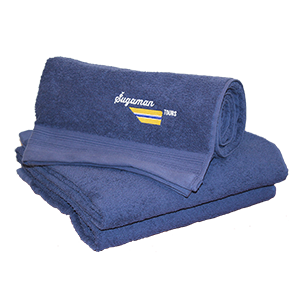 When setting out on a trip to explore the lakes, you should know that they are divided roughly into two sections – upper and lower. 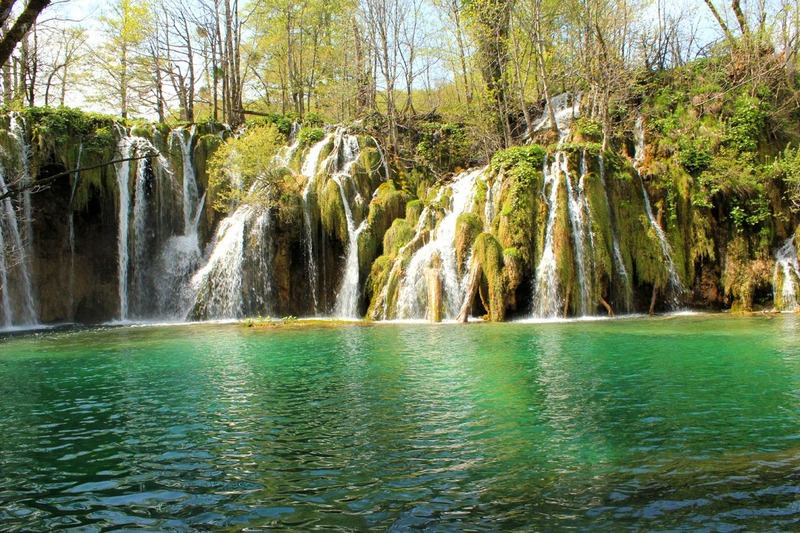 The Upper Plitvice Lakes are smaller and more closely packed together and boast with a range of spectacular formations. 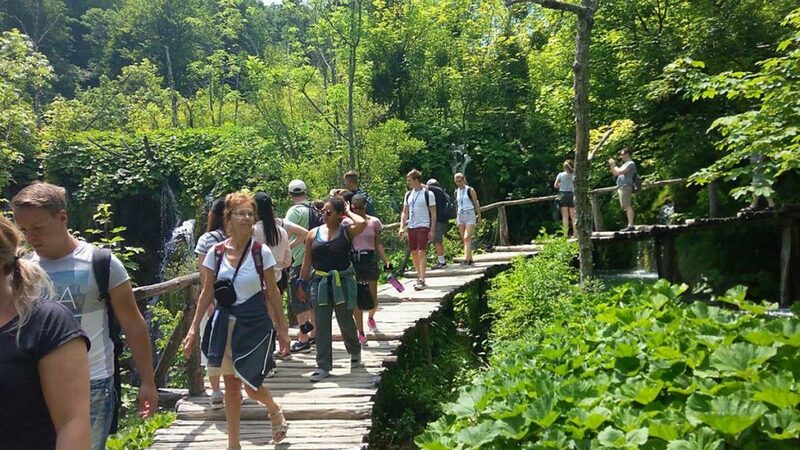 The best way to explore the Upper Plitvice Lakes is to take a walking tour around them, starting from the very top. The area has an intricate network of scenic pathways, allowing you to explore every corner and every cascade fully. It’s common for tourists to crisscross the pathways looking for the best spot to take a memorable photo. 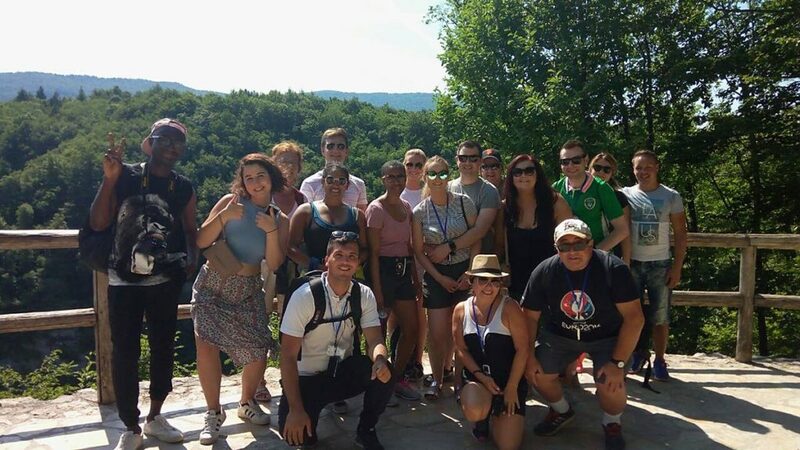 OUr tour will even take us up the hills where you can take panoramic pictures of the lakes. Is the route challenging? No, it is not. The distance between the highest and lowest points is very small, meaning there are no ascends and descends which are way too steep. 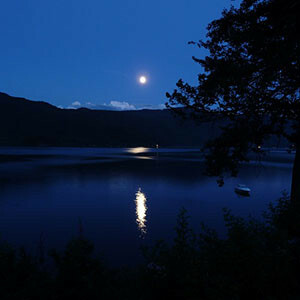 Additionally, the pathways, some of which cross the lakes are solid and wide – perfectly safe for the casual tourist. 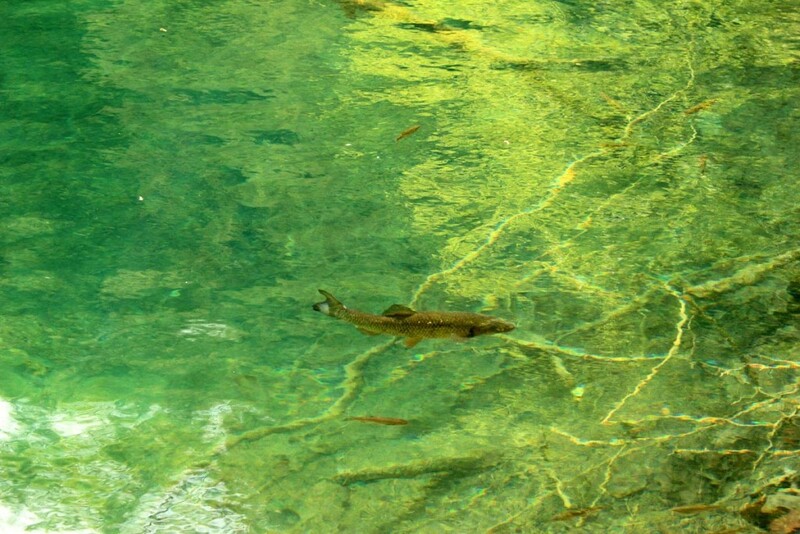 What do these tantalizing lakes have to offer? Let’s find out. 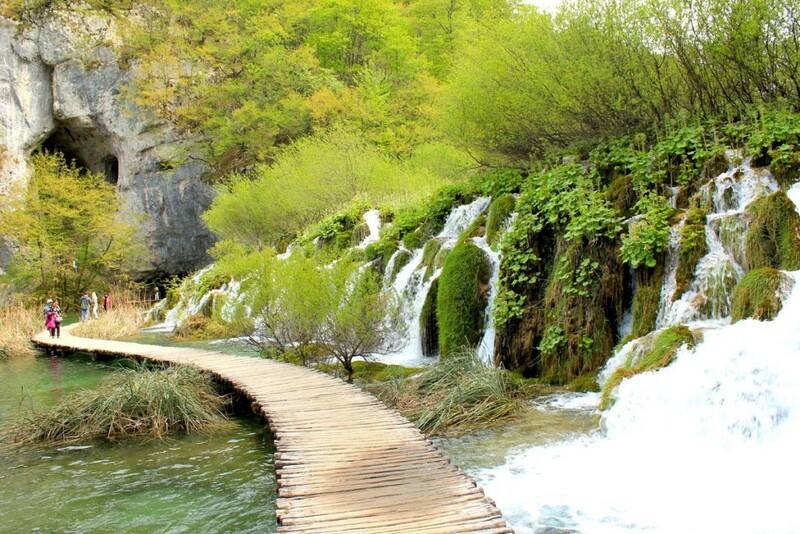 There are 12 Upper Plitvice Lakes and it is worth exploring all of them. 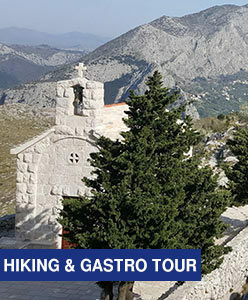 Starting from the very top, there are Proscansko Jezero (jezero is lake in Croatian), which has Matica River flowing into it, and Ciginovac. 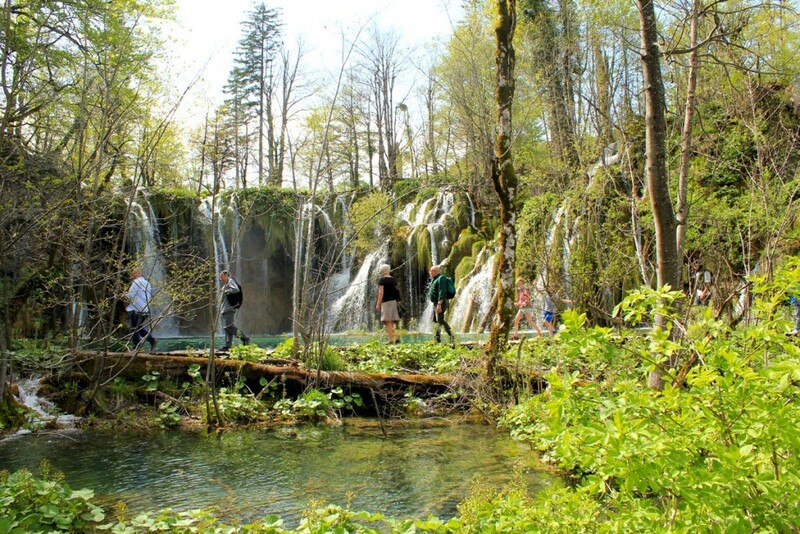 They overflow into Okrugljak Lake with a series of cascades and waterfalls which are surrounded by thick vegetation, making only small sections of them visible. You can hear the water flowing around the bushes and trees, however. The place feels almost surreal. 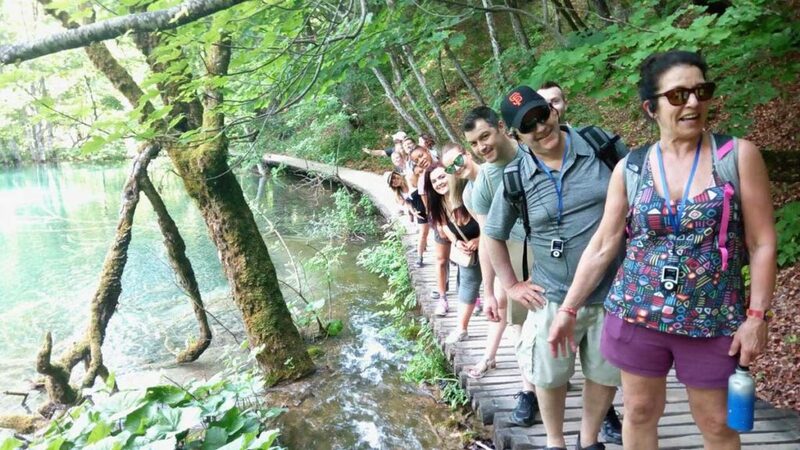 One major attraction which you should not skip during your tour is Labudovac Fall, formed by the waters of Lake Ciginovac when it flows into Okrugljak. The Fall is around 20 meters high, but what’s even more impressive is the series of cracks and caves surrounding it. In the past, you could enter some of the caves, but now they are blocked by the waterfall. 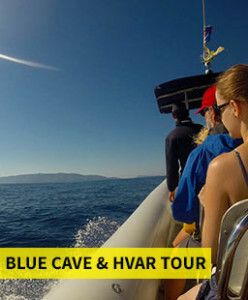 The next Upper Plitvice Lakes to explore are Veliko, Malo, Vir and Batinovac. All these lakes are connected to Galovac, which is one of the most picturesque lakes in the entire Park. You can literally walk over the lake thanks to a path build across it. 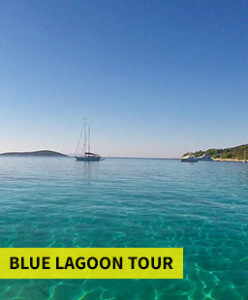 On one side, you will marvel at the pristine waters in various shades of blue and green. On the other, there are the white waters of waterfalls. This place is picture perfect. 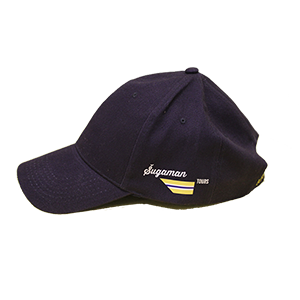 Lake Galovac has more attractions. If you are into geology, you can also explore the interesting dolomitic rocks on its north shore. 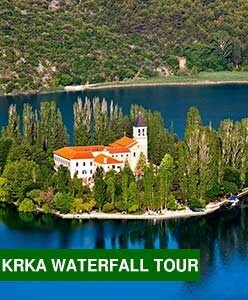 The lake boasts with some of the most spectacular waterfalls too – Veliki Prstavac and Mali Prstavac. They are names can be translated as the Grand and Small sparkling waterfalls. There is also Galovacki Buk. 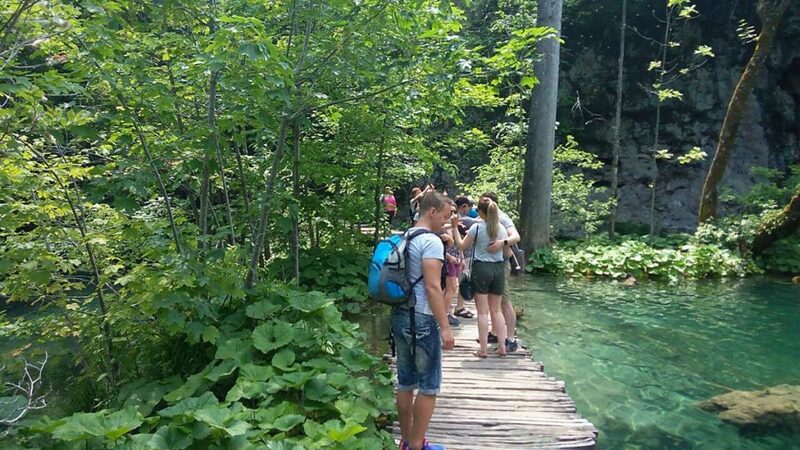 The next set of the Upper Plitvice Lakes includes Gradinsko, Milino and Burgeti. They are connected into Lake Kozjak. It is the lowest lake of the upper section and serves as the virtual line of separation between it and the lower section. 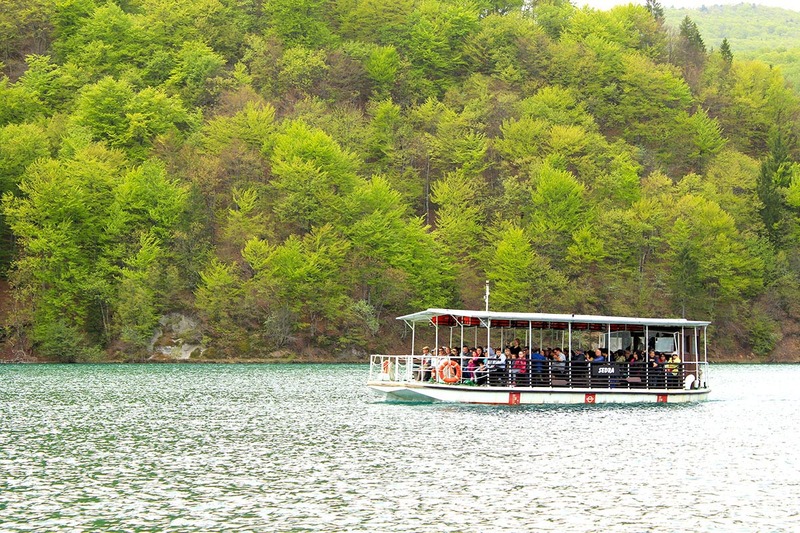 Lake Kozjak has a very interesting history. The limestone on its eastern part can be dated back to the Cretaceous. 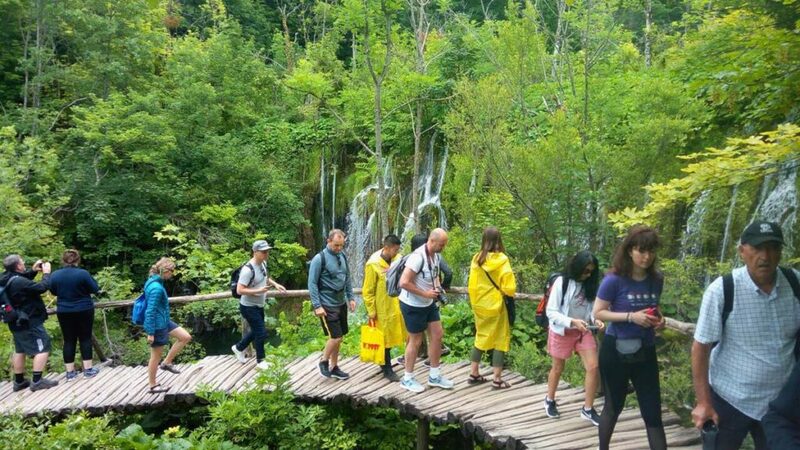 Like all Plitvice Lakes it has changed its form over the years, as the water has made its way through the rocks and travertine formations have been built. 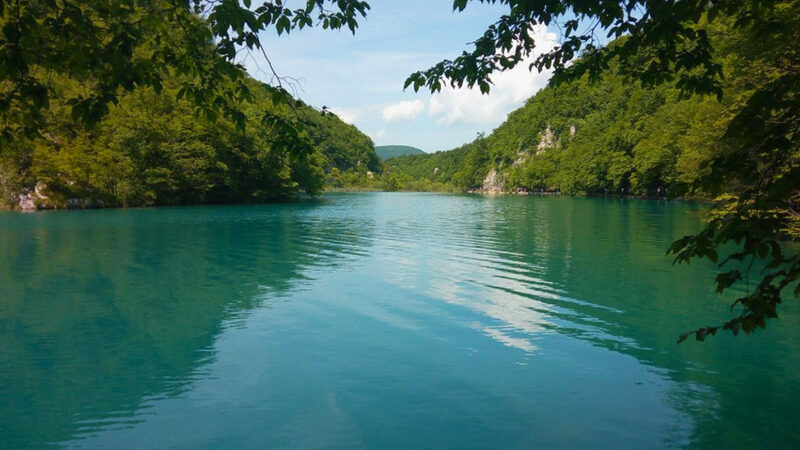 Some four centuries ago, what is now Lake Kozjak used to be two separate lakes divided by a waterfall with height of around 40 meters. 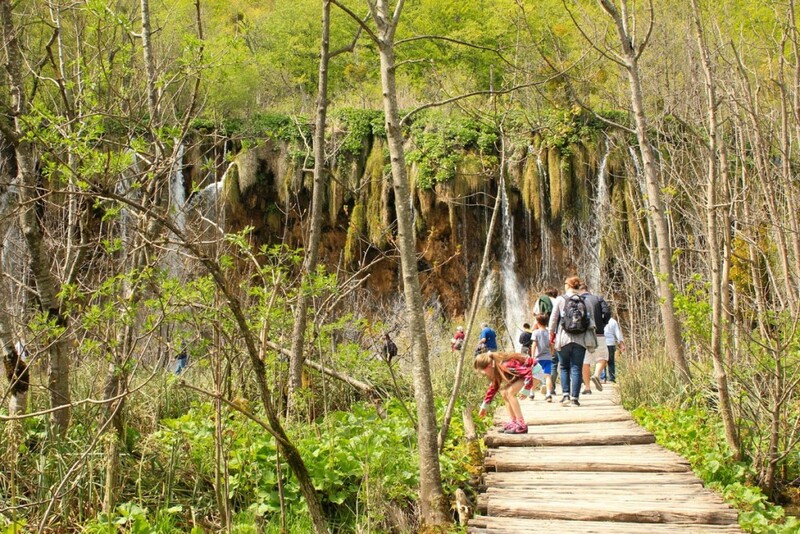 The travertine barrier known as Kozjak raised at a faster pace than the one forming the waterfall between the two lakes, allowing the water levels to become equal. This is how the waterfall disappeared. 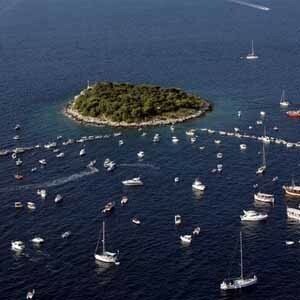 Now you can marvel at another attraction – the charming Stefanija’s island. 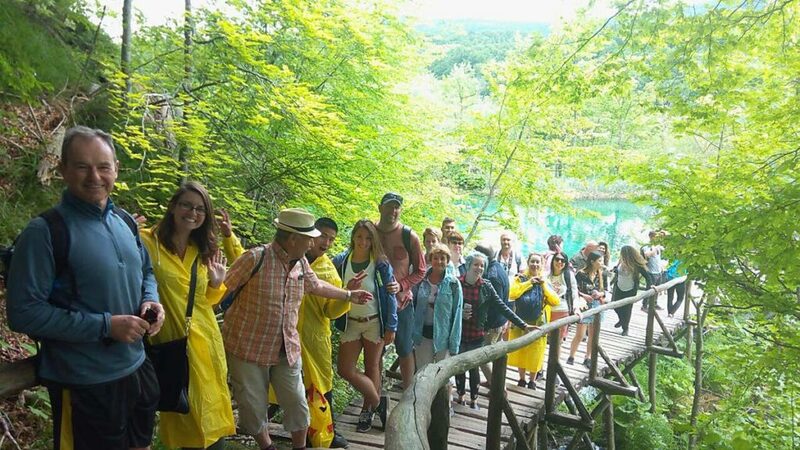 What’s the best thing to do after taking a trip around the Upper Plitvice Lakes? It’s time to go around the Lower Lakes, of course. 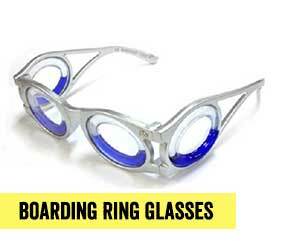 They are fewer and far bigger and boast with many more attractions. 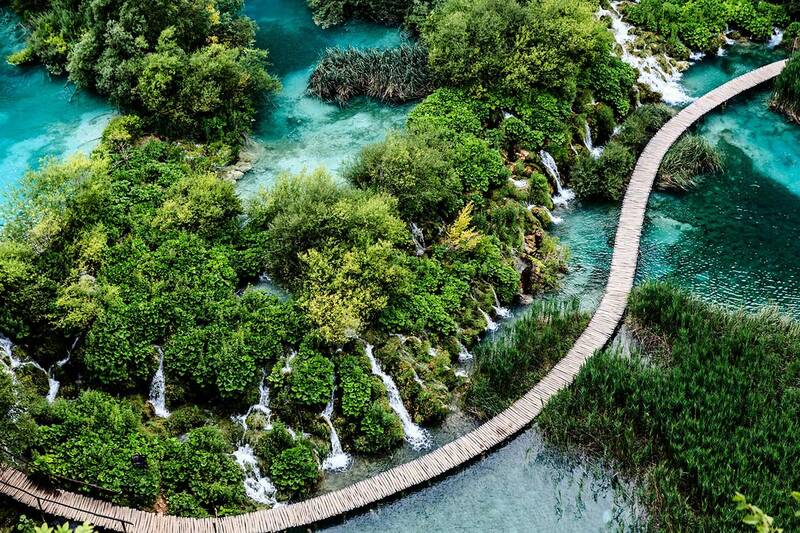 While the upper lakes of Plitvice National Park are smaller and connected primarily through cascades, with the exception of a few waterfalls, the lower ones boast with some dramatic waterfalls which can be observed from both the top and bottom. 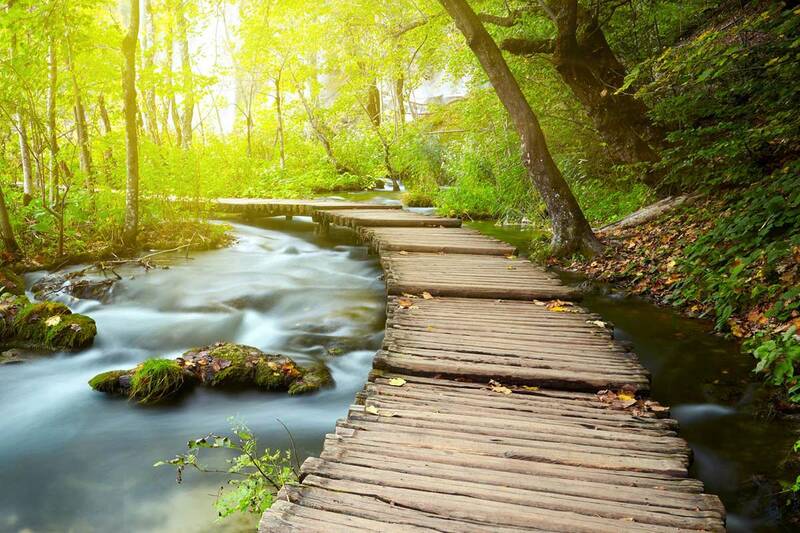 Let’s head on a virtual trip around the Lower Plitvice Lakes. While they are fewer, they are also much larger than their upper counterparts. 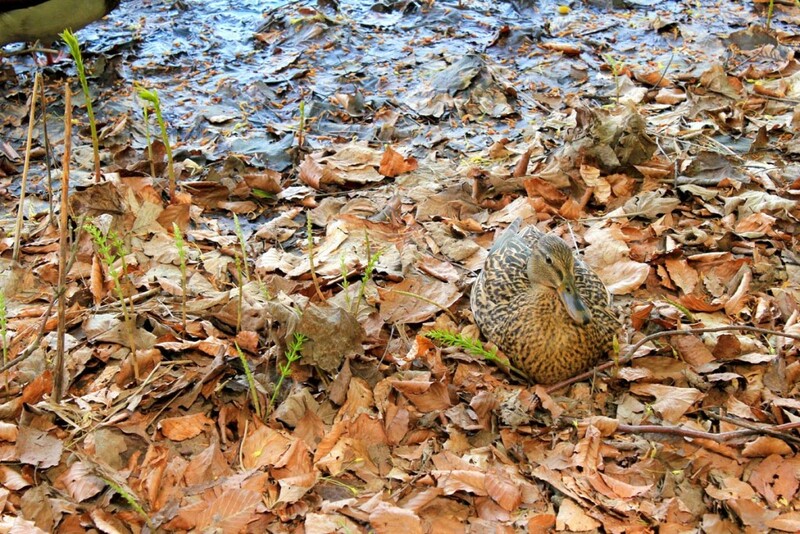 This gives you the chance to marvel at their most beautiful spots in more ways than one. 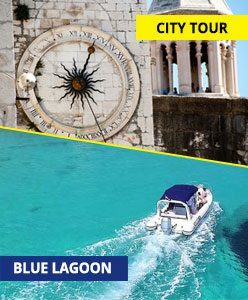 Part of this tour includes leisurely boat trip which reveals many of the major attractions in this area. 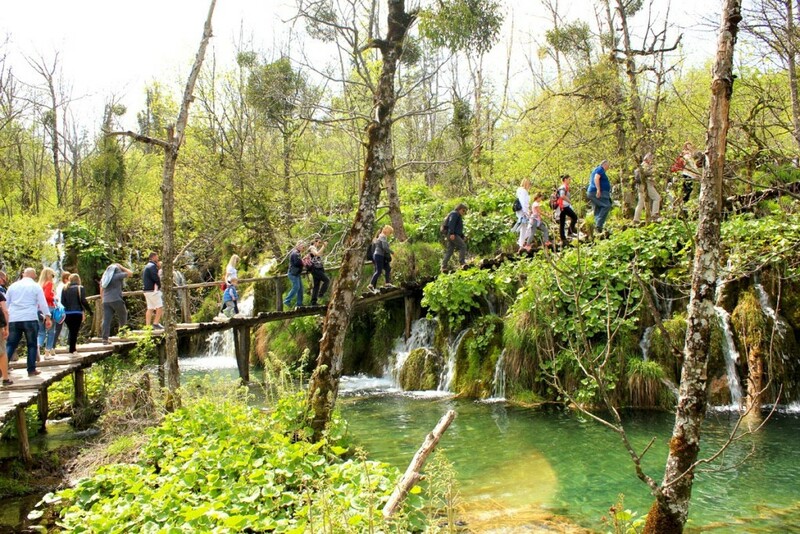 The other part of exploring the Lower Plitvice Lakes is on foot. There are pathways going around the shores and ones up at the top of the gorge, which the water has cut through to form the lakes. The two sets of pathways are interconnected primarily with steps due to the considerable difference in the altitude, meaning you should be prepared for some step climbing. 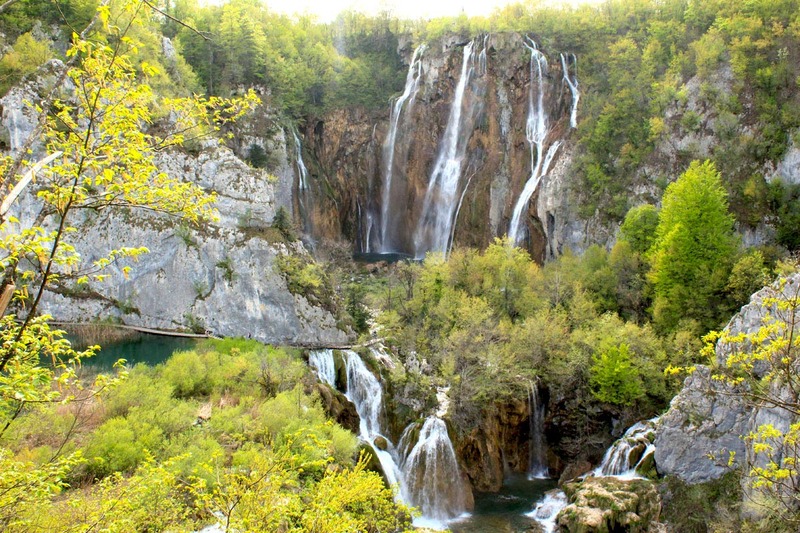 The Lower Plitvice Lakes are connected to the upper ones with Lake Kozjak. 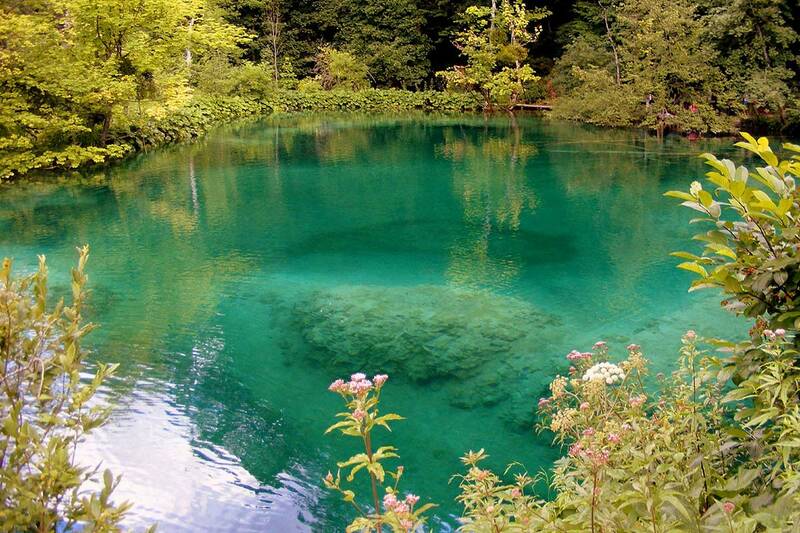 It flows into the first lake of the lower section – Lake Milanovac. 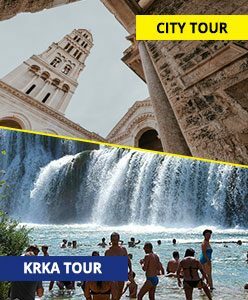 The two are connected by Milanovacki Slapovi – a waterfall which is around 20 meters high and very wide. It is totally gorgeous and worth taking photos of. This lake has some of the most scenic pathways running around it. You will be as close to the water as possible. You can also view the lake from up above by walking along one of the trails at the top of the gorge. The views are simply breathtaking. 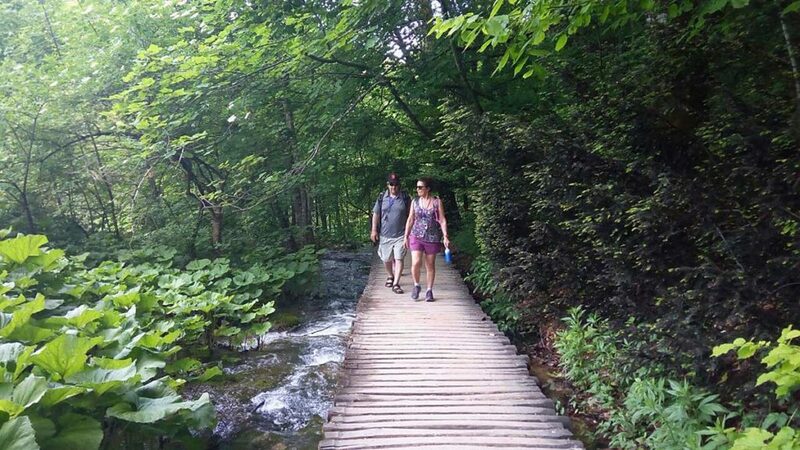 Lake Milanovac is connected to Lake Gavanovac, the next one on our list, by another famous waterfall – Milka Trnina. 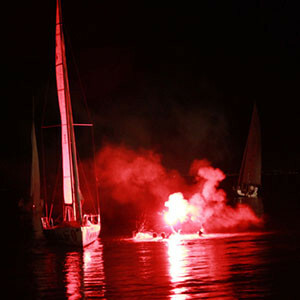 It is named after one of the most famous Croatian opera singers, reminding visitors of the might and beauty of her voice. 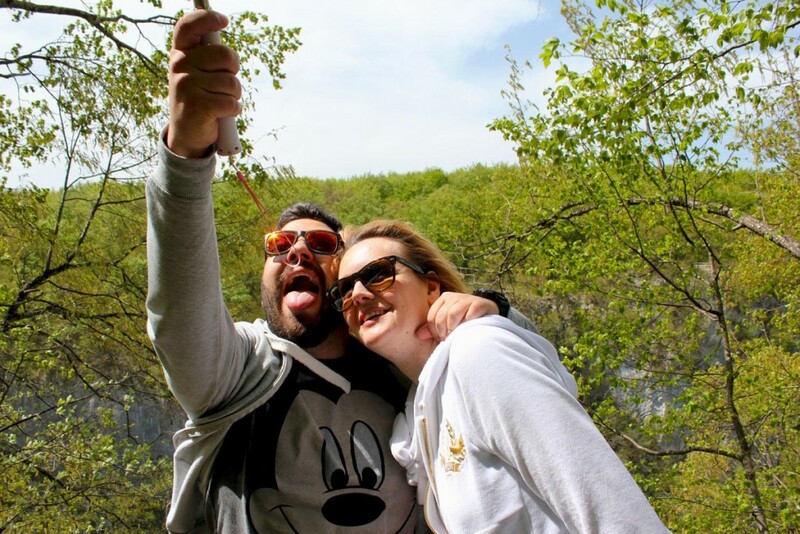 Lake Gavanovac is home to one of the most photographed attractions in the entire Plitvice National Park – Velike Kaskade. 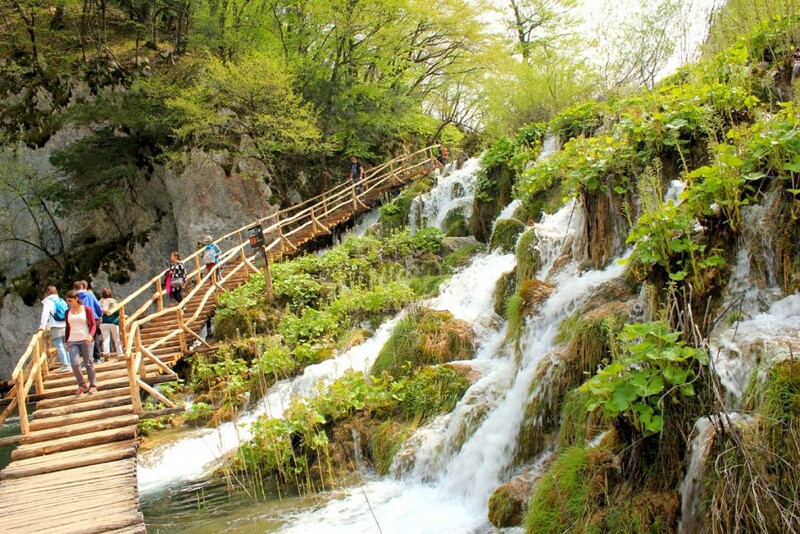 The walkways go around the small cascades, making you feel as if you are in a wonderland. 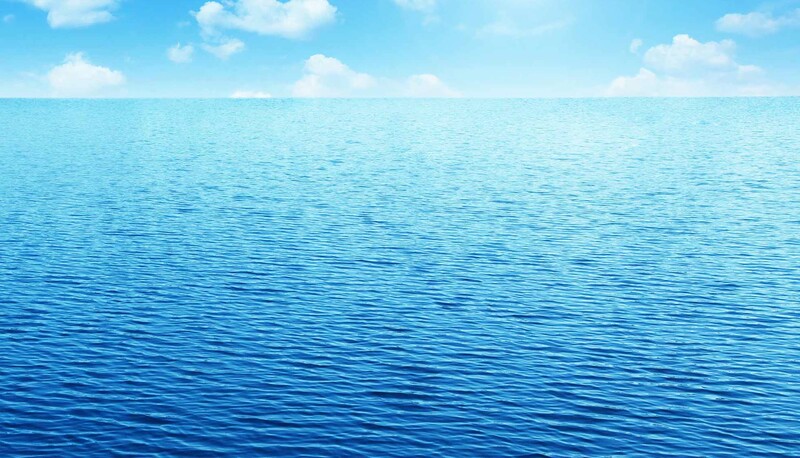 The color of the water can vary considerably from one section to another because of the work of the invisible microorganisms inhabiting the lakes. If you want to get views of Velike Kaskade from above, there is a pathway climbing up and leading you to Sulpjara Cave. 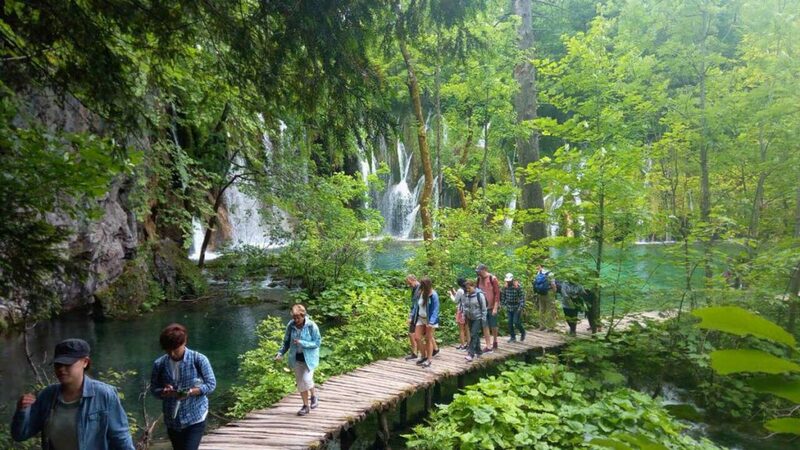 After the section with the diverse cascades, it’s time to explore the next one of the Lower Plitvice Lakes – Kaluderovac. 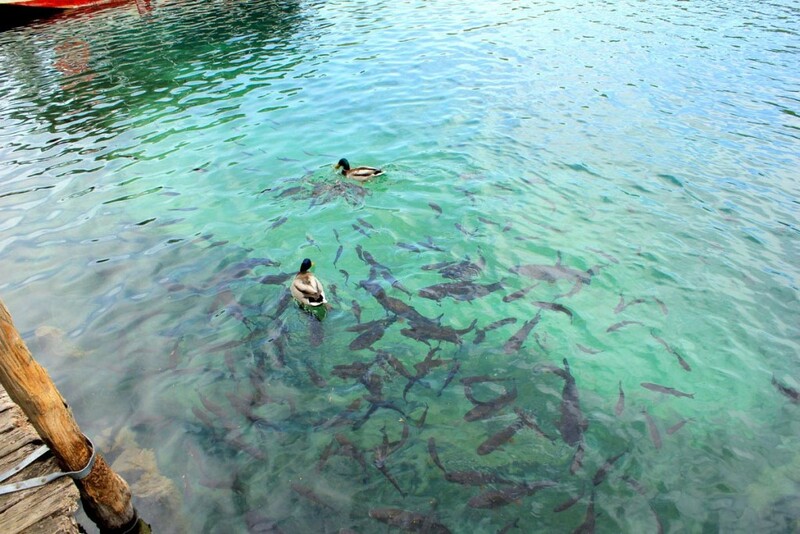 It is full of fish which are great fun for kids and for adults to watch. 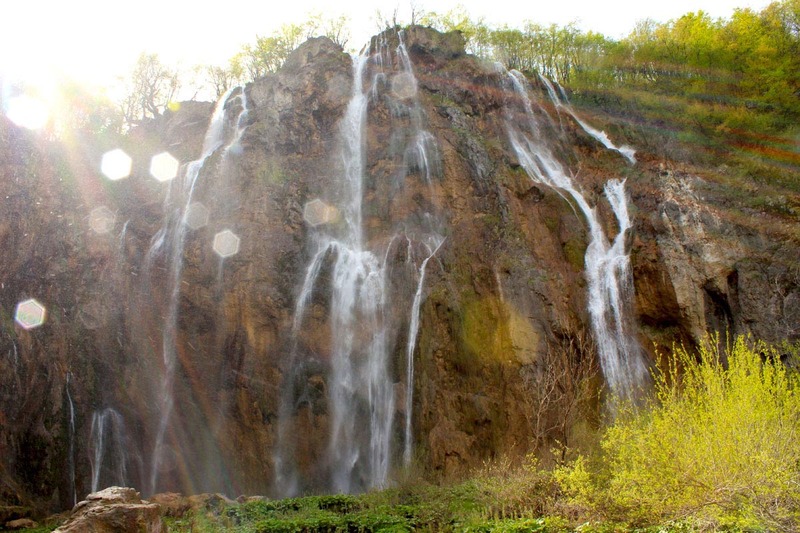 The next and final lake, Novakovica Brod, has a section with breathtaking waterfalls which are 25 meters high. 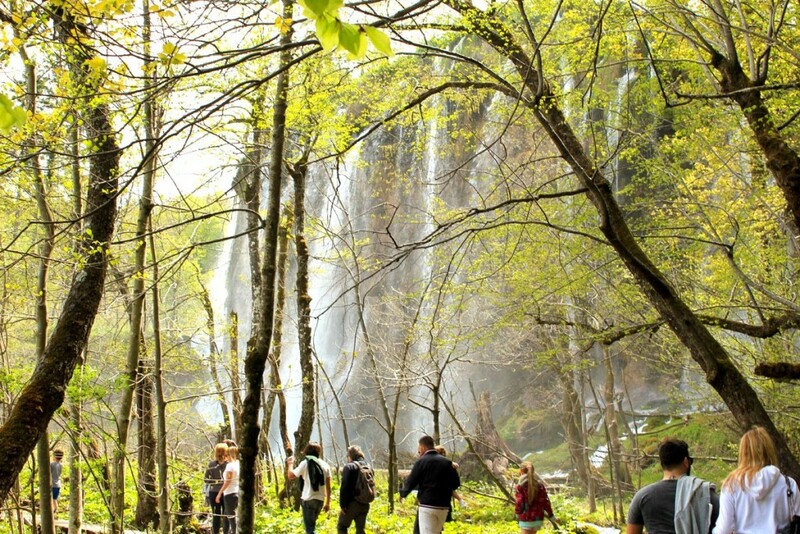 The so-called Sastavci Waterfalls are incredibly picturesque and worth taking a photo of. 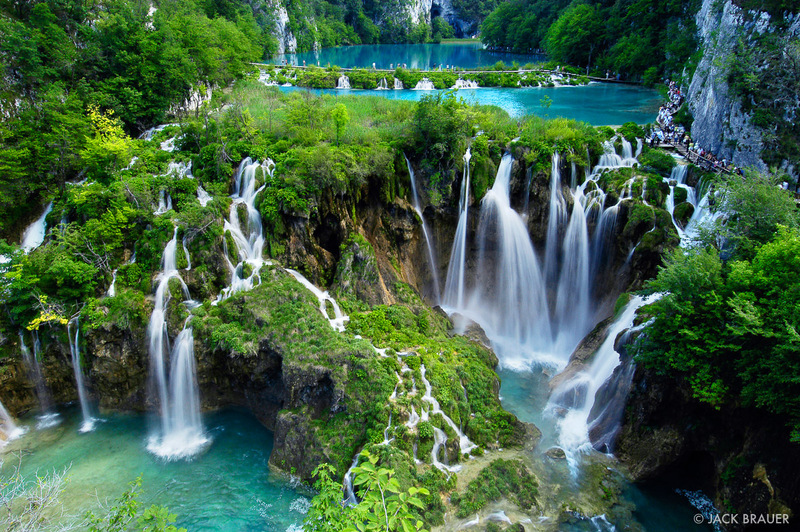 The major attraction of the Lower Plitvice Lakes is the Great Waterfall or Veliki Slap in Croatian. It cascades down from a height of some 78 meters. The unique thing about it is that it’s formed by two mighty natural forces. The waters of Lake Novakovica Brod and those of Plitvice Stream, which flows straight from the mountain, merge together to give you one unique natural wonder. You can also take a walk along the paths at the top of the gorge. 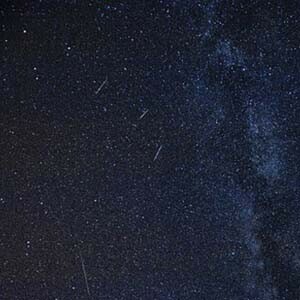 They offer some of the best viewing spots where you can take amazing photos. If in doubt where they are, just ask a tour guide. You should be able to find them quite quickly. 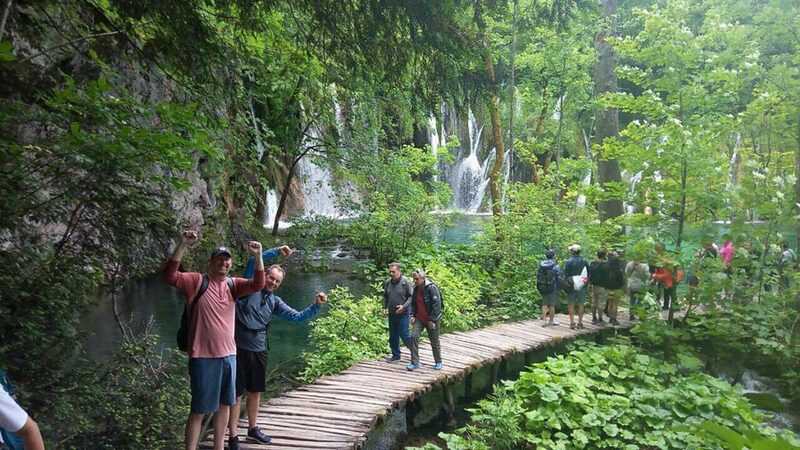 Hopefully this article has given you some insights into all the natural beauties you will see and experience on Plitvice tour from Split. 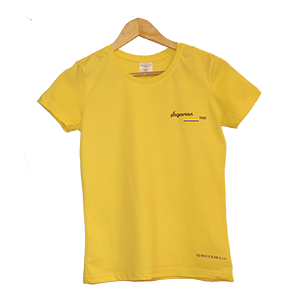 What is next for you is to join us and experience it yourself!